Captain Meyer-Waldeck, Governor of Kiautschau and Tsingtao. The city and its beach are on the right. Tsingtao Bay is in the middle distance and Kiautschau Bay in the distance. Tsingtao fell to an Anglo-Japanese assault on November 7, 1914. Kapitän z. See Meyer-Waldeck, Gouverneur von Kiautschou-Tsingtau. Sea Captain Meyer-Waldeck, Governor of Kiaochow-Qingdao. 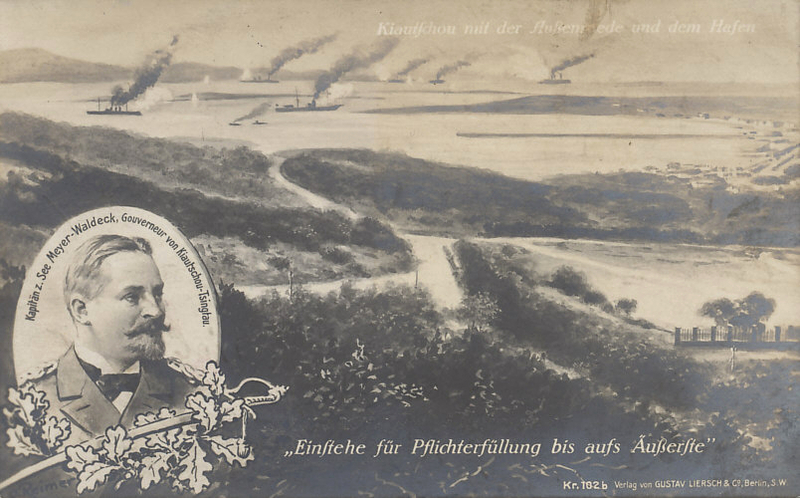 Germany used the occasion of the murder of two German missionaries in 1898 to seize the territory of Kiautschau and the port of Tsingtao from Japan. Germany developed the city and harbor, constructing lighthouses, a railroad, a radio station, housing, and forts. Garrisoned with 5,000 German marines, Tsingtao was home port to the German East Asiatic Squadron. On August 15, 1914, Japan delivered Germany an ultimatum demanding that all German warships in the waters near Japan and China be withdrawn or disarmed, and that Germany hand over to Japan the territory of Kiautschau. Receiving no response, Japan declared war on August 23. The naval squadron fled Tsingtao, leaving behind some smaller German warships and an Austro-Hungarian battleship to defend the territory. After removing over a thousand mines from the sea, Japanese naval forces began blockading the coast of Kiautschau on August 27 while awaiting the arrival of its land forces. By September 18, a Japanese army of 23,000 commanded by Lieutenant-General Mitsuomi Kamio began advancing on Tsingtao in cooperation with a small British force. The approach along the peninsula to Tsingtao was dominated by Prince Heinrich Hill and by three concrete and steel hilltop forts. 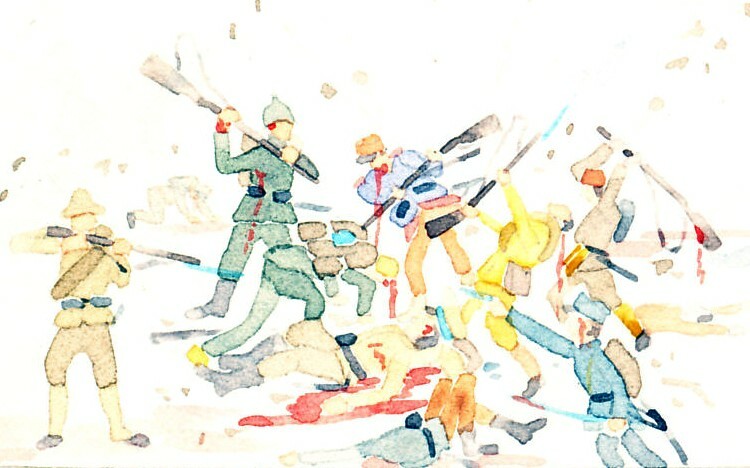 Kamio began his attack on September 27. 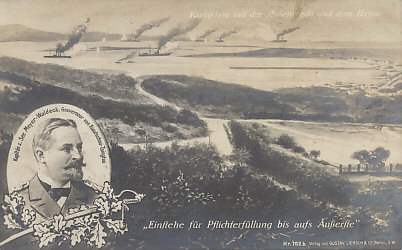 The Allied artillery heavily damaged the defending forts, and the Germans retreated from Prince Heinrich Hill on September 28. Kamio continued the siege during the following weeks while awaiting the arrival of heavier siege guns and his inevitable victory. On November 2, the crews of the defender's warships scuttled their vessels. The next day the Germans destroyed their wireless station. The Allies made significant advances on the 6th, taking 200 prisoners, seizing two German gun batteries and the fort defending the German right. 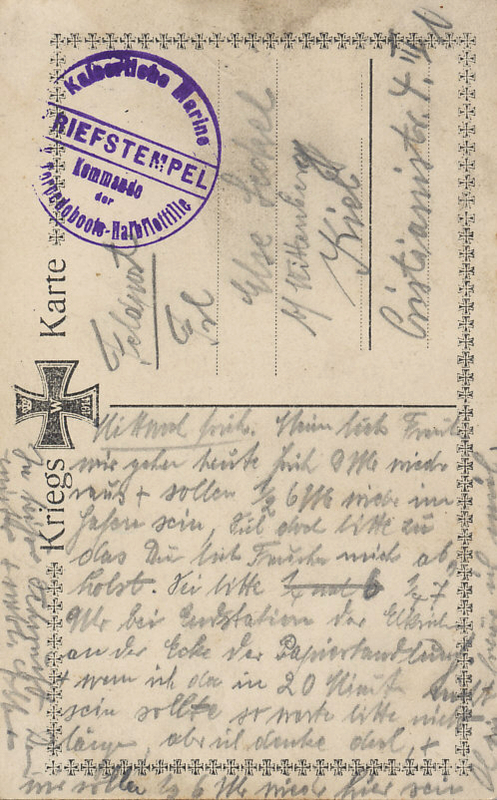 On the morning of November 7, 1914, the German defenders surrendered.